They say it only takes one moment for a regular player to become one of the most talked about people in a sport. That was certainly the case for Phillip Dorsett, who made headlines after catching a 29-yard touchdown pass from Tom Brady to give a 14-0 lead to the New England Patriots in the 2019 AFC Championship game against the Kansas City Chiefs. The 5 feet 10 inches (1.78 m) tall, 87 kg (192 lbs) heavy wide receiver, is now set to play in Super Bowl LIII where he would be looking to not only win silverware but also audition for potential new teams as he becomes a free agent after the game. Phillip Dorsett was born on the 5th of January, 1993, in Fort Lauderdale, Florida. Thanks to his father, who gave him the genes and nurtured his interest in sports, Dorsett was said to have had a huge competitive edge from a very early age. As a student at St. Thomas Aquinas High School in Fort Lauderdale, Florida, the young athlete competed in both track and football and was considered to be a top prospect by the time he was set for college. In his junior year in high school, he recorded 30 receptions for 594 yards and 9 touchdowns. In his senior year, while registering outstanding performances on the long jump, triple jump, 400 meters, and other track and field events, he helped his school go undefeated to win the Florida 5A football championship as he managed 35 receptions for 806 yards and 12 touchdowns that year. After graduating from high school, Dorsett received scholarships from different college programs. He considered going out of town to attend schools like Ohio State or North Carolina, but he, however, chose to stay in Florida to attend the University of Miami. In his true freshman year, he appeared in 12 games, where he recorded 14 receptions for 147 yards and one touchdown. The following year, he started 10 of the 12 games he appeared in, recording a team-high 58 receptions for 842 yards and 4 touchdowns. A knee injury hampered his third college season as he only managed to play in 7 games, where he recorded 13 receptions for 272 yards and 2 touchdowns. Dorsett made a strong return in his senior season as he recorded 36 receptions for 871 yards and 10 touchdowns. 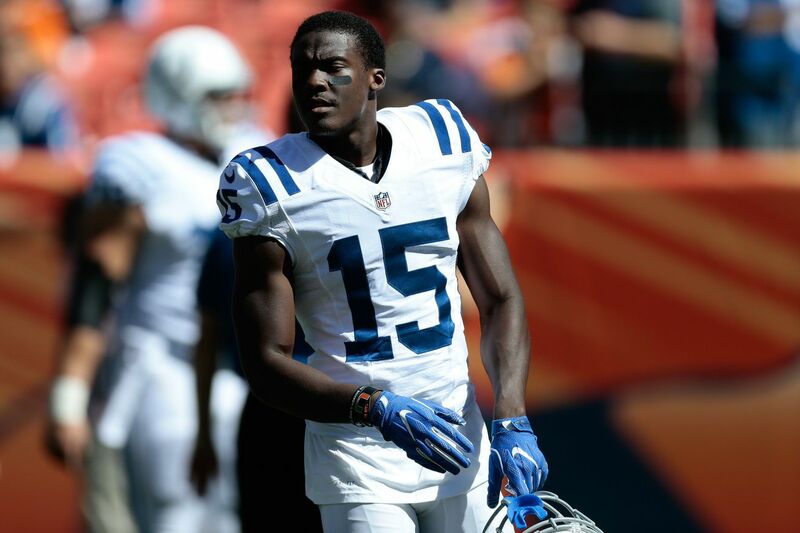 Upon graduation, Phillip Dorsett was invited to attend the NFL Combine where he put up impressive numbers that convinced the Indianapolis Colts to select him with the 29th overall pick in the 2015 NFL Draft. He went on to put pen to paper on a four-year contract before going ahead to feature in 11 games, recording 18 receptions for 225 yards and one touchdown in his rookie season. In his second year, Dorsett started 7 of the 15 games he played in, recording 33 receptions for 528 yards and 2 touchdowns. Dorsett’s time with the Colts ended in September 2017 when he was traded to the New England Patriots. In his first season with the Patriots, he recorded 2 receptions for 194 yards, as his team got to Super Bowl LII and lost to the Philadelphia Eagles. In the following season, Dorsett got to play a bigger role for his team, as he recorded 32 receptions for 290 yards and 3 touchdowns in 16 games, helping his team get to Super Bowl LIII where they will come against the Los Angeles Rams. Due to their shared last names, many people have speculated that retired Dallas Cowboys’ and Denver Broncos’ running back, Tony Dorsett, is related and could be the father of Phillip Dorsett. This is very far from the truth as the two men, who coincidentally also share a love for the same sport, have no notable relationship. Tony, who is a Pro Football and College Football Hall of Famer, has a son named Anthony Jr. who played football at the University of Pittsburgh before lining up for teams like the Tennesse Titans and Oakland Raiders. Who Are His Father and Mother? Phillip Dorsett’s parents are divorced and his mother’s name is not known. His father, on the other hand, is Phillip Dorsett Sr., who works as an assistant track coach at St. Thomas Aquinas, the same high school where his son was a standout athlete in both track and football. The NFL player has notably attributed his success in football to his father, saying that he moulded him into the player he is today and that he would not have been here if not for the sacrifices he had made. It was reported by a few outlets that the wide receiver dedicated his first ever touchdown pass in the big leagues to his father.